Towering over the eastern side of the Central West End is the St. Louis Cathedral Basilica. While its Romanesque Revivalist exterior is beautiful, it is best known for it mosaics. 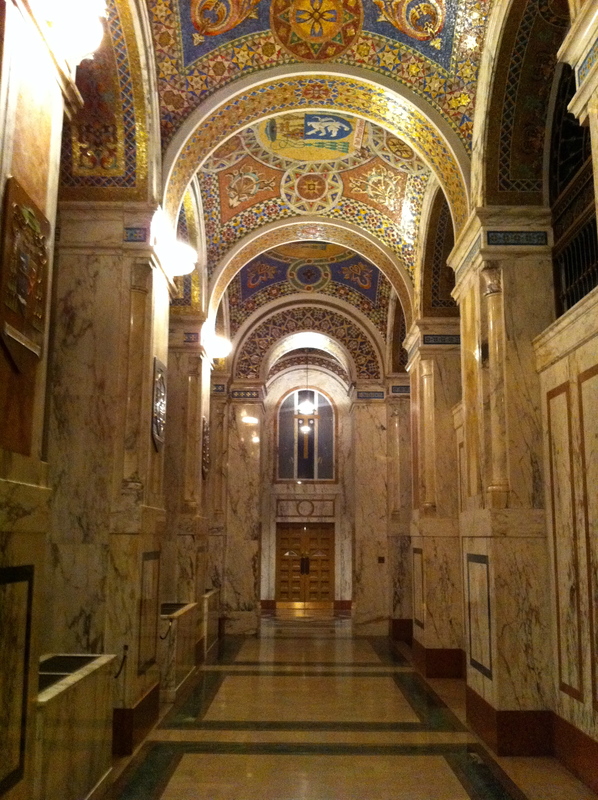 The interior of the cathedral is covered by over 41 million glass mosaic pieces in over 7,000 colors. Even though I am not a Christian, I am still inspired by the Cathedral due to its sheer size, which rivals any European church, in addition to the intricacy of the mosaics and the dramatic lighting. One special event that I attended at the cathedral was the public viewing of Stan Musial. Stan Musial was the greatest player to ever put on a St. Louis Cardinals jersey. As a figure in the Cardinals organization for over 50 years, he is one of the most beloved people in all of St. Louis history. In fact, the new bridge over the Mississippi River is named for him. The event, therefore was extremely well attended, as people started lining outside of the cathedral for hours in the cold January air. 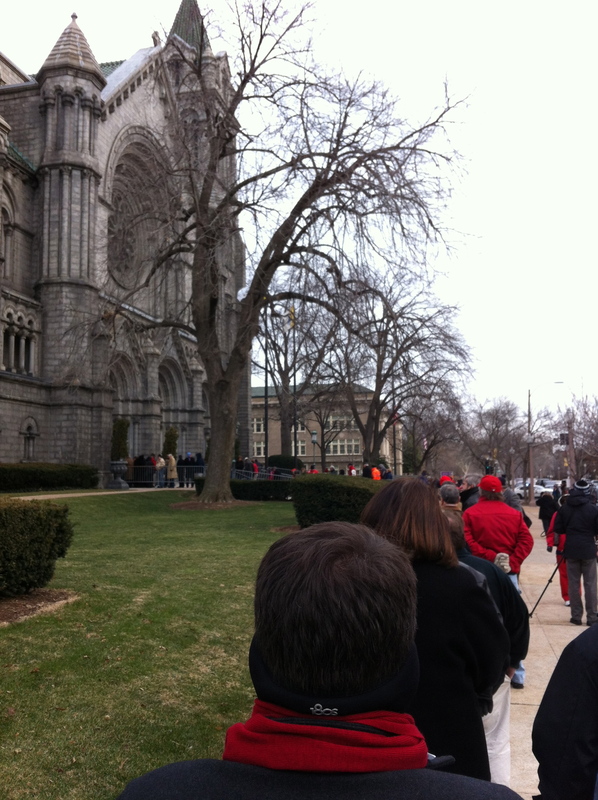 Waiting in line with Cardinal Nation to get into the Cathedral for Stan Musial’s unveiling. After waiting through the line outside the cathedral and snaking through the dark cathedral, I was finally able to pay respect to someone who’s shadow I had literally walked in at every Cardinals game I attended. After quickly walking by the casket for all of 6 seconds, I was promptly whisked out of the cathedral.